The DePaul University Honors Program hosted SoapBox's affiliate podcast Bourbon ’n BrownTown in this live podcast event as part of their ongoing Speaker Series. This event tackled the Honors Program’s themes of the year, exile and refuge, as well as local/global displacement as a whole. 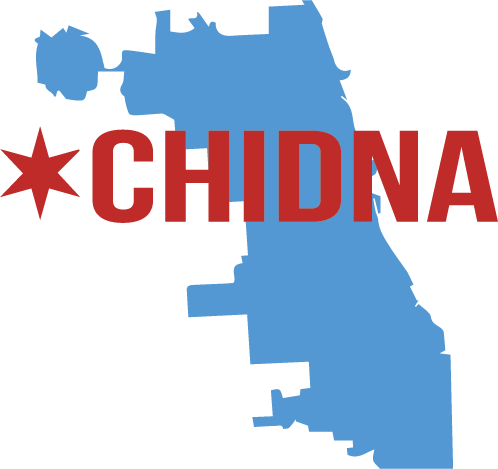 After introducing SoapBox, the Chi DNA project, and the Bourbon ’n BrownTown format, BrownTown, their guests Jessica Puri and Heavy Crownz, and the university audience watched the Chi DNA Micro-Doc Episode 3 as a springboard for their discussion and following Q&A. The group starts by defining displacement: a forced movement of people from their homes, neighborhoods, and/or occupational activities from natural or man-made causes. From there, they discuss the connections between international crises, intracommunal violence, and disenfranchisement in Chicago as well as the cultural representations they manifest. Recorded four days before Columbus Day, the discussion touches on intentional segregation and destabilization of Black and Brown geo-specific areas both in Chicago and the Middle East. BrownTown and company draw parallels between highly criticized and complex international crises, gang violence in Chicago, and the broader implications of white supremacy that help create and exacerbate them on a policy and narrative level. Jessica brings in her first-hand international experiences while breaking down the rhetoric around refugees in America. She subverts the often problematic language to explain the importance of refugees and providing a safe haven and resources for those experiencing trauma—home and abroad. As we bring drill rap and activism in and out of the conversation, Jessica analyzes Caullen and Heavy’s anecdotes using an ecological model to helps us better grasp the decision-making processes of folks’ suffering from intergenerational and contemporary trauma (mentioned: Rico Reckless interview). Heavy explains what his moniker, the “63rd Representer”, tells us about growing up in a hypersegregated Chicago and the current state of gentrification (enter: Obama Community-Benefits Agreement). The group later draws out the importance of art as a coping mechanism, in its many forms. Near the end of the conversation, the group touches on notions of black masculinity in and outside of drill, code-switching, and what being “appropriate” really means. How do displaced people deal with trauma, particularly when resources to do so are scarce? How can we un-do known oppressive policy of yesteryear to better shape an equitable future? Where does drill rap and activism play into all of this and why is it important? Here’s our take. Jessica Puri is a Nigerian-born Public Health professional with 5+ years of experience in scientific writing, health research and public health communication on the Bachelor and Masters level. She is currently pursuing a doctorate in Integrated Health Sciences at the Feinberg School of Medicine in Northwestern University. She sits on the alumni advisory board for the Center for Community Health Equity and the Board of Directors for SoapBox. Heavy Crownz is an MC and high school educator hailing from Chicago's Englewood community. With a degree in History from Tuskegee University, Crownz aims to create personal music from the soul in a style of flow he calls AfroTrap. His strongest motivations to go on have been the need for people to have good music with substance and purpose. Help us continue to integrate and amplify community voices around various Chi DNA topics. Drop us a line if you would like to explore a more creative, equitable, and holistic world with us.